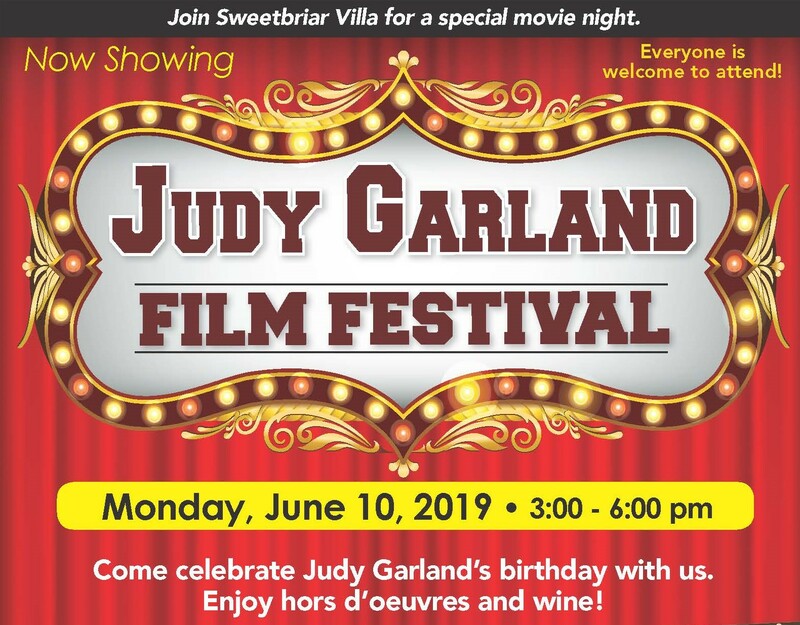 Join Sweetbriar Villa for a special movie night. 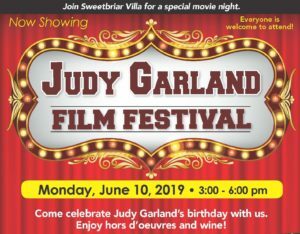 Come celebrate Judy Garland’s birthday with us. Enjoy hors d’oeuvres and wine! Enter to win a Judy Garland Classics Basket!